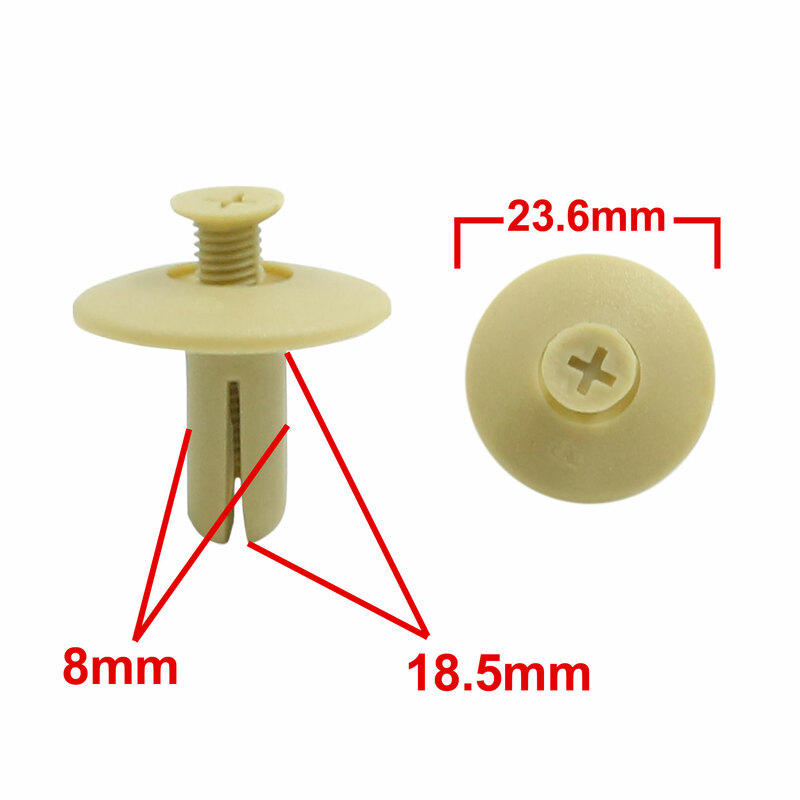 These rivet fasteners are made of plastic material, suitable for car use. Car good accessory, commonly used for fitting side skirts, bumpers and other trim. These clips are suitable for firmly holding anything within a fit diameter hole. They can be used on buses, trains, planes, truck and cars. Note:Please check the plastic rivets hole size before buying.